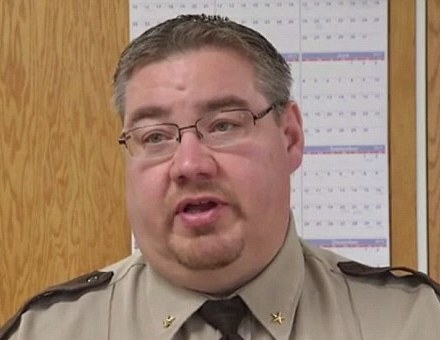 Law enforcement officials in North Dakota may have lied to the public about existing safety issues after a Rolette County deputy was shot and killed in shootout that left another man dead and three deputies on Administrative leave. Write Into Action is attempting to learn exactly why the Rolette County Courthouse was locked down for security reasons on Friday, January 20. Several attempts to obtain this information from Rolette County Sheriff Gerald Medrud have gone unanswered. Even before authorities could officially confirm there had been a fatal shooting on Wednesday, January 18, KFRY-TV reported authorities said “the public is not in danger”. How could they make that assurance? And it looks like it was a false assurance. Two days later the courthouse was locked down for “security reasons”. On Sunday, January 23, an ‘intruder’ was shot and killed in a home in Rolette County. 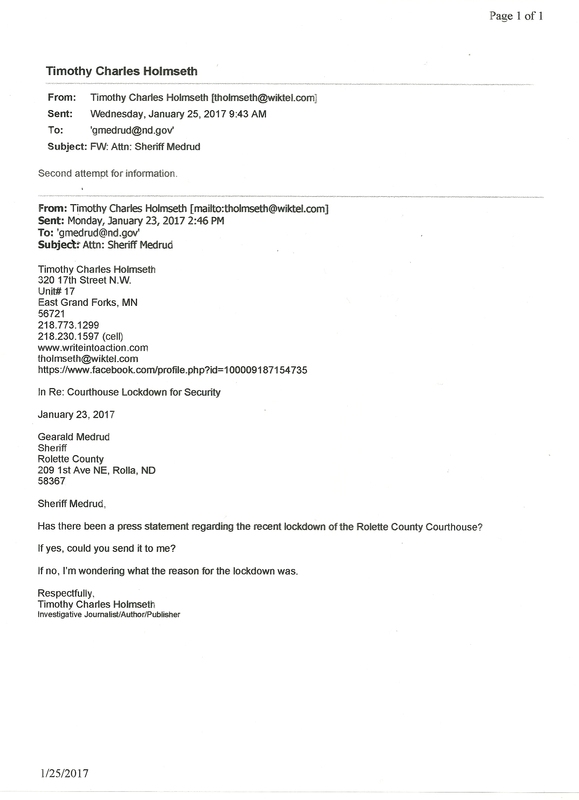 It would appear Rolette County was anything other than safe and the Sheriff still refuses to reveal why there was a need to protect County officials inside the courthouse. Visit www.writeintoaction.com to learn about what is going on and who is really behind it – and be sure to visit the Wall of Shame.